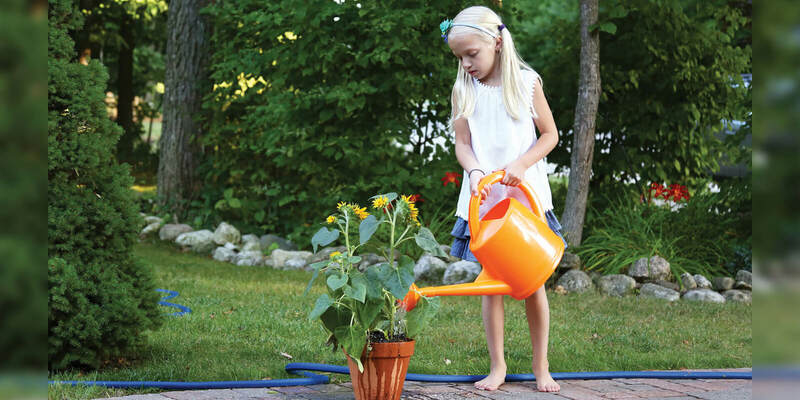 Our 7 Liter (1.8 gallon) Watering Can is made in the USA from high-grade, injection-molded plastic that won’t rust, leak or corrode. The extra long spout is designed to sustain balance, decreasing water spillage when watering can is full. The 7 Liter Watering Can comes with a plastic rose for a gentle shower for flowers and is available in six brilliant colors: red, orange, yellow, green, blue and berry.